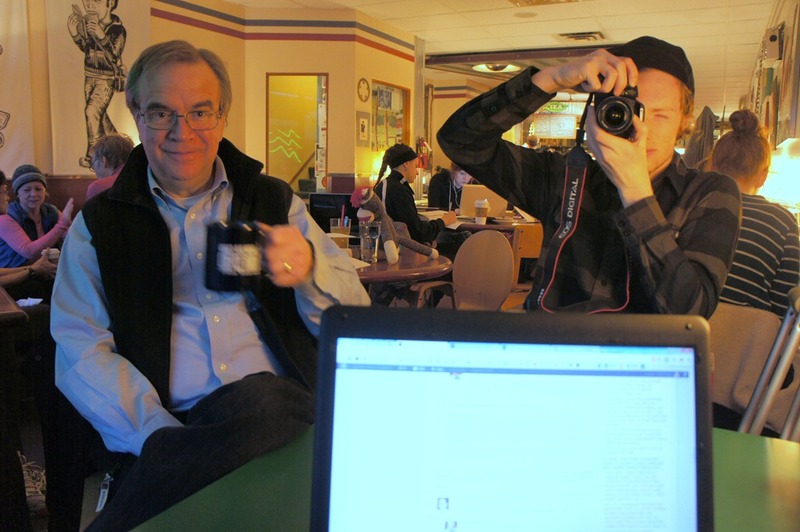 St. Olaf Professor Todd Nichol is another one of the early morning regulars at GBM. A couple weeks ago, he barged into my corner office to inform me about the 2nd Annual Grand Old Time Spring Dance coming up this Friday night in the Lion’s Pause at Buntrock Commons. 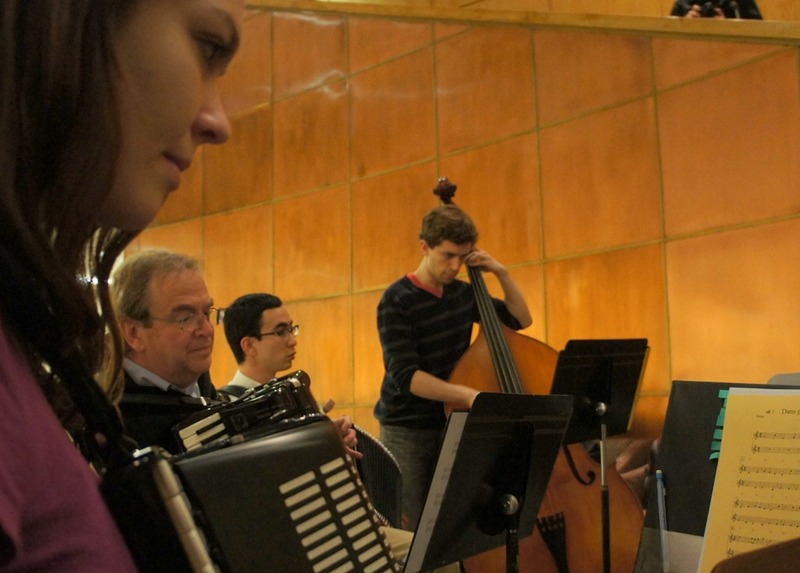 He’s one of the faculty advisors for the The Runestones accordion club that will be performing at the dance and last week, I attended one of their practice sessions. 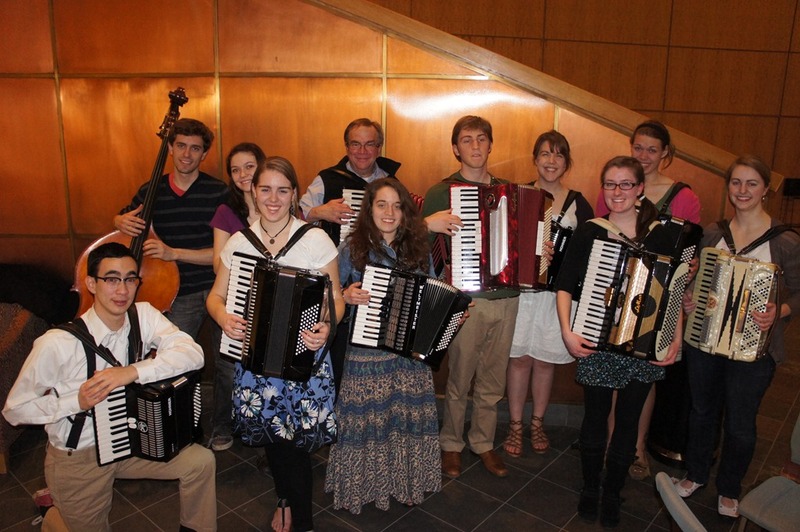 The Runestones is a come-when-you-can, just for fun student group of accordion players. 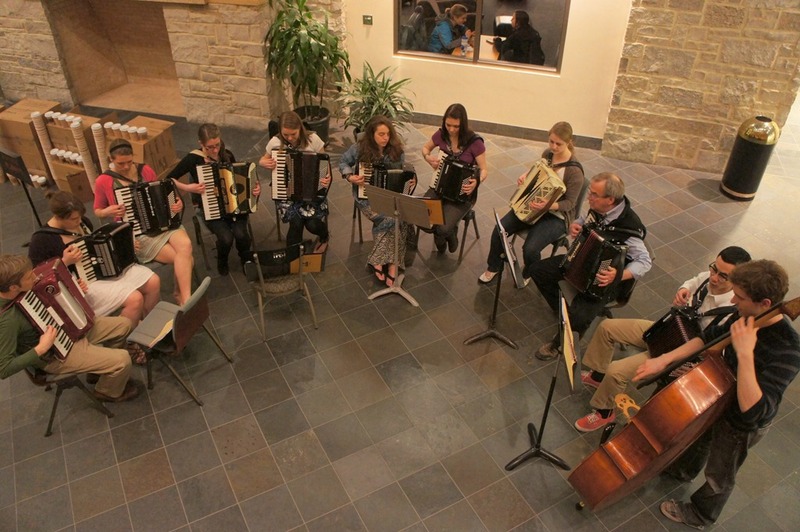 We play mostly Nordic tunes, but you never know what we’ll do next. Think fusion. If you’ve never heard Cajun Norwegian or Country Western Danish, you are missing something. A dance for everybody! A time to dance the polka, the waltz, and the schottische. Brief lessons will be given throughout the evening. Free. Open to the public. Families with children welcome. Refreshments and parking available. The guy taking my photo in the left photo above with Todd? Evan Thomas-Richards, an Ole working with the AmCon group that I blogged about back in Nov. Dang paparazzi.